If you hear "Damme bella 1 und Leufer Gustav 5" you may think its a line in a story in some fairytale. Yes, it is a story, but a chess one. Its the 6th day of the World Team Chess Championship for Blind and Visually Impaired and the air is full of chess. The talk in the hall is allowed only with the special code for announcement of every move. The crossing point of all different people from 16 different countries collected here is chess and its a meeting of minds and intellects. The battles are spectacular and legendary. The air is full of tension as the end of the competition is coming nearer. 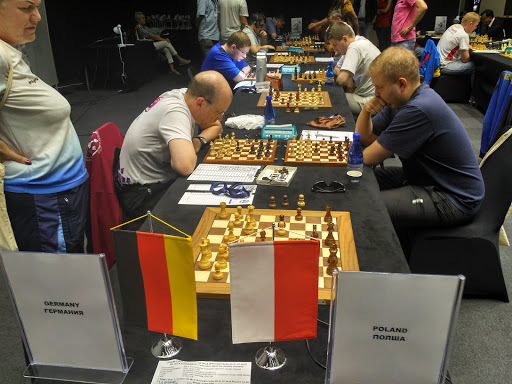 In Group B the most interesting was the race between the two superb teams - Poland and Ukrajne. In the first 5 rounds they both reached the full score of 10 match points. The leader of the Polish team - GM Tazbir and the board 3 IM Dukaczewski both led with 4/4. 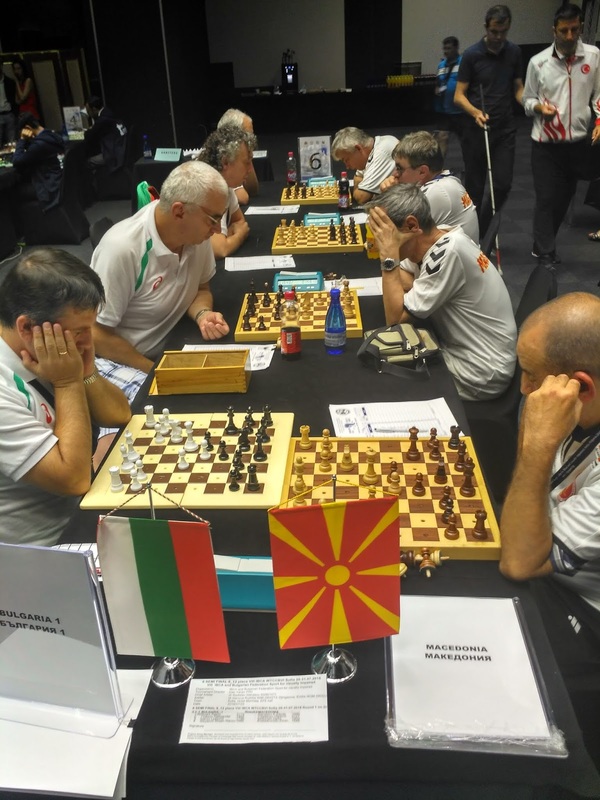 The Bulgarian team in group A made a pleasant surprise taking the third place with 6 mp. The most unbelievable turnover happened in round 5 in the match Bulgaria - vs India. Scoring quick victory on board 4 and leading with a big figure advantage on board 2 and board 3 the Indian team was already feeling the win. 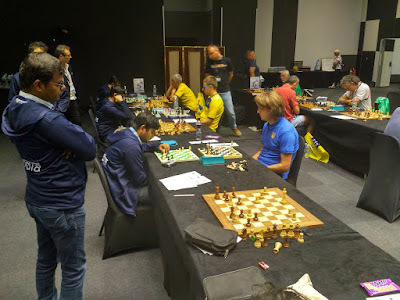 Then all of a sudden - Soundarya and Aryan both made crusial blunders, so Rasim Nizam on board 1 made a draw and took the important victory for the Bulgarian team. India and Slovenia are sharing 4th and 5th place with 4 mp. In group A, after 4 rounds, the current Olympic and World team champion - Russia was leading with the impressive score 15,5 ot of 16 games. 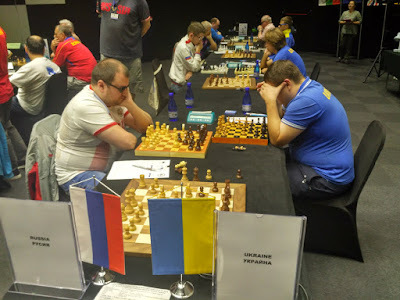 The best players of the group A - Russia were on board 4 Evgeniy Suslov 4/4 and on board 2 Stanislav Babarykin 4.5 /5. 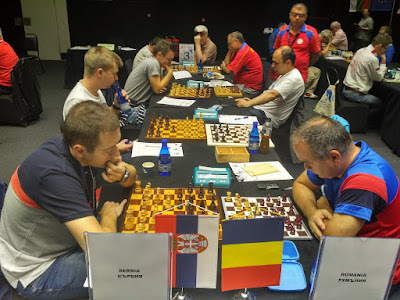 In round 5 was the most exiting match in this group Russia vs. Serbia. It started with a quick draw on board 4 in only 9 moves, followed by another draw on board 2. But on board 1 - Alexey Smirnov in a very complicated position decided to sacrifice a piece for an attack which soon appeared to be incorrect. Yuri Meshkov was in big trouble dealing with the awkward positions of his rooks. 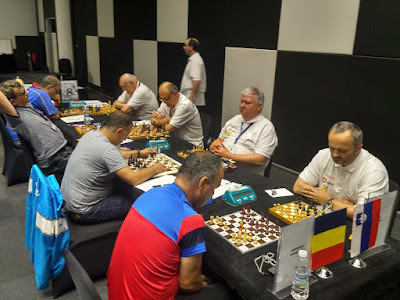 Only by a miracle Russia managed to save the day when Pavle Dimic with a piece up missed a simple winning plan and Stefan Janic -greed to a draw in much better position. The main pretenders for the second place in A group were Germany with 8 match points and Serbia with 6 mp, so 6th round was the decisive match. 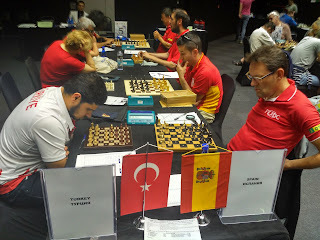 5 match points for Turkey; 4 points for - Great Britain, Venezuela and Macedonia.